Loud piece of jewelry that will rock your world. 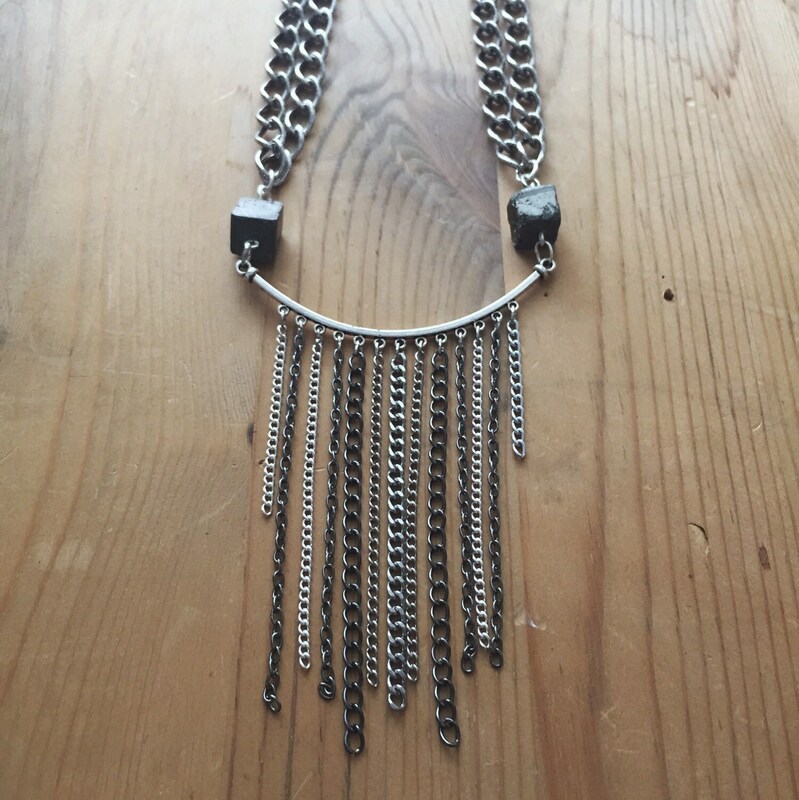 The Draped Pyrite Necklace is a bold 18in piece with pyrite beads and draping gunmetal and silver chain. Super rad statement piece to make any outfit edgy and fun. If you would like a specific color or length in chain, please message me with the length of necklace you prefer. -	Symbolizes the lasting presence of the sun. -	Stimulates the flow of ideas. -	Brings confidence and persistence. It is beautiful, but my neck broke out in rash wearing it. Sorry!